I had so difficulties with this one, and it’s just because I did not pay enough attention. Instead of seeing the whole Origami Unicorn tutorial from Paper Kawaii, I just started folding. So you can imagine me having the horn made from a 15 cm square paper. In order for you to don’t make the same mistakes let me give you some more details in written form for this great and magical model. 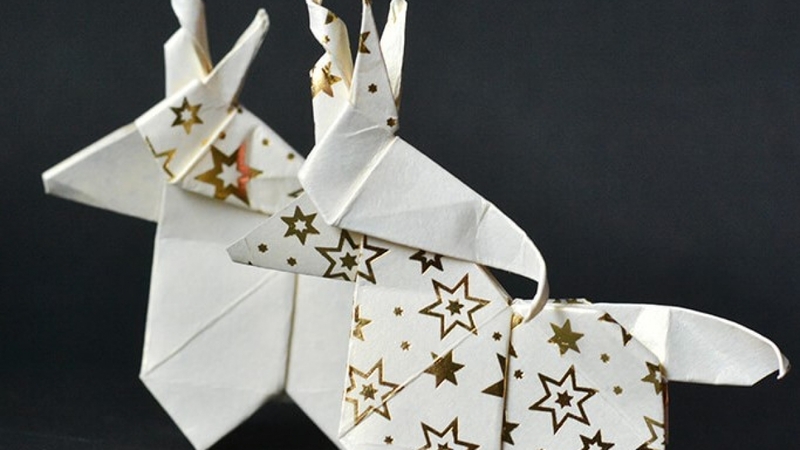 This origami unicorn is made from 2 pieces of paper, one for the body and one for the horn, ears, and hair. You have to start with the body, which is a horse model as you see in the picture below. Here you can find the video instruction on how to make it. I made my horse from a 15 cm piece of paper. Next, you can make the horn, ears, and hair, not the other way around like I did. For this you need to use half the size you used for the body, so for me was 7.5 cm. From here on, you can follow the video and you are in good hands.